The summit of the Col du Glandon 1,924 metres above sea level, or nearly 6 Roseberry Toppings in local money. The highest I’ve been on a bike but in around 3 or 4 hours I will be higher still, the mighty Galibier beckons and another 2 Roseberry Toppings can be added! The Glandon was tough enough though 24 kilometres of steady climbing albeit with a few short flat or downhill sections to break up the relentless slog. As it’s our first ride though that slog is anesthetised a little by our fascination with the stunning scenery, towering mountains broken up by mountain villages, pristine reservoirs and a thin sliver of twisting tarmac populated by cyclists, for this week is Marmotte week and we have just nailed its first climb. The descent off the Glandon is something else, all 20 kilometres of it. For the first few turns the road drops away and normally confident on descents I lose my nerve and reach for the brakes more than I should, it takes me a few kilometres before I relax enough to descend properly. Alps veteran Dave leads us ably down, the other three of us, myself, Ian and Graeme, all Alps virgins, are happy to follow. The descent ends at the small town of Saint-Étienne de Cuines and after a brief stop for a ‘natural break’ we tackle the valley road towards St. Michel de Maurienne and the foot of the Col du Telegraph. It seems weird to be on a flat road again after about 3 hours of pure ascending and descending but this grind along a straight busy main road through the hot valley is something that drains us all. So much so that I for one am almost relieved to get on the lower slopes of the Telegraph. Not for long though. The Telegraph is almost an aperitif to the mighty Galibier with only a short descent separating them, but only 3k into the 11.8 k I don’t feel so good and only 50 odd miles into a 100+ mile ride it is a worry. The worry for any of us at this point is between us and where we are staying are huge mountains that need to be got over. The Telegraph was hot, very hot, I sometimes struggle to eat when it like this and a quick check of my food tells me that I simply haven’t eaten enough. So I force some bars down and by the top things feel okay again. The top of the Telegraph finally comes with the promise of a lovely cool water tap. Me, Graeme and Dave taking on water at the top of the Telegraph, Graeme looks a bit fed up and we still have 50 miles and the Galibier to go! Now the little matter of the Galibier. I’ve never done a climb like this before and it will stay in the memory for a long, long time. I’ve watched the Tour go over it on the TV many times but until you’ve ridden a bike up it I would say it’s impossible to appreciate what it puts you through physically and emotionally. An incredible climb, especially the last 8k. We all have to grapple with our inner demons up this, the most demanding section. Not only is it the steepest section, the air’s thinner as it goes up to 2,645 metres and your energy is diminishing with every pedal stroke. Ian in particular is having to ride round a chronic knee problem and I can’t begin to appreciate the difficulties he’s encountering. Dave’s ‘dashboard warning lights’ are flickering and Graeme has been cramping up since the bottom. As cyclists always do we make it to the summit in our own way. The final 3k or so is spectacular stuff as the road rises up cutting through the snow in a series of hairpins. After the longest climb of my life the top comes and for some reason seems to be populated almost entirely by a large group of German cyclists hugging each other and shouting in their ecstasy. Very un German like but this is the significance of the Galibier and reflects what it means in Tour history and cycling folklore. With typical English reserve I stare out in awe at the panorama that unfolds and the start of the descent that awaits us. The Galibier doesn’t muck about, at the top it simply veers to the left and heads straight down again. A combination of cold hands, meaning I can’t feel the brakes, and huge chasms all around means that I adopt an approach to descending akin to that of Wiggins in the wet on the Giro. A Kirton café stop at the point where the Galibier joins the Col du Lautaret refuels and reheats us and Dave’s promise of a 20 mile descent back to our accommodation surprisingly proves to be more or less true! The deadline of a three course evening meal at 7.30 focuses the mind and the excitement of a series of dark tunnels which heighten the sense of speed finish off what is a classic route. If we so chose we could have ridden the 3 miles to the bottom of Alpe D’Huez and grovelled up it to complete the Marmotte route. But instead we chose food and putting our feet up. That was our first ride, we did it because we were all fresh, the weather was good and Ian’s knee was as good as it was going to be. 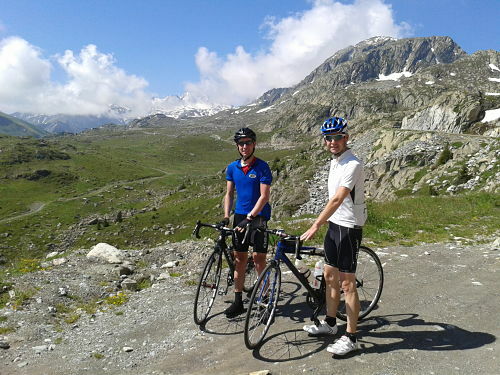 It also meant that another big ride could be done later in the week for Dave, Ian and myself and Graeme could prepare for his Marmotte ride. As well as the four of us there was also Rob who had travelled over a few days earlier. When we arrived Rob was lounging about having just completed a gruelling sportive. I don’t think I am being unkind when I say that like a lot of good athletes Rob has perfected the art of lounging about, laying down at every opportunity, rarely standing, in fact generally not really moving about much. He actually moved about four times in the first 2 days that we were there. Once to make us a cup of tea as we assembled our bikes, which was very nice of him, once to walk up stairs for his tea, the next morning for his breakfast (he did get our bikes out for us while he was on his feet – not his own as he wasn’t going for a ride) and then again for his evening meal. Over the week I began to have my doubts that he rode a bike at all as he extolled the virtues of ‘resting up’ and ‘less is more’. At one point he did ride the 3 miles into Bourg D’Oissans to get a sandwich and a pizza but I suspect that if a bus had rolled by he would have got on that. It was worth noting that he didn’t apply this ‘less is more’ philosophy to food and managed to pack plenty away, though not as much as Dave it has to be said. In fact at one point I thought that Dave might start eating the scenery! So just to be on the safe side I decided to take a few photos. At the end of the week though Rob proved the value of his strategy by finishing at the sharp end of the Marmotte field, then launched himself up Alpe D’Huez the day after in around 47 minutes. Each of us had their own particular things that we wanted to get out of the trip and over the next three days we did a series of less ambitious rides that nonetheless took us into some stunning environments while helping us to cover some of the hallowed ground that the numerous wheels of the tour has rolled along. A highlight for Ian and myself was a ride that we did after our Galibier day referred to by our hosts Alan and Lynne as the Balcony Route. We wanted a relatively easy day to recover our energies a little while not stressing Ian’s knee too much. We decided to combine this with the ascent up to Les Deux Alpes. The Balcony Route is accessed from turn 16 off Alpe D’Huez and follows a road that cuts across a fairly vertical cliff face in spectacular fashion, tunnelling straight through it in some places. The Balcony route, Ian is looking decidedly nervous about what may lurk in the tunnel! I told him about the trolls afterwards. Why and how they built a road up here I have no idea, but I’m glad they did as it is every bit as spectacular as going over the big cols, albeit it in a different way. After turn 16 off the Alpe the road continued upwards at not much less of a gradient and then takes you to the edge of a cliff where you can look straight down at the valley from which you’ve come. Once you’ve reached the high point the road then drops in an exciting series of twist and turns until you reach Lac du Chambon. From here we road the 10k up to Les Deux Alpes before descending halfway then taking another spectacular mountain road that took us back to our starting point. All this in 28 miles with only 3 of these being anything other than a significant slope one way or another. The 11-12 mph average speed and 2 and a half hour ride time tell you all you need to know, other than we rode really slowly! At this point I must mention Alan and Lynne who run Le Velo Jaune where we were staying. 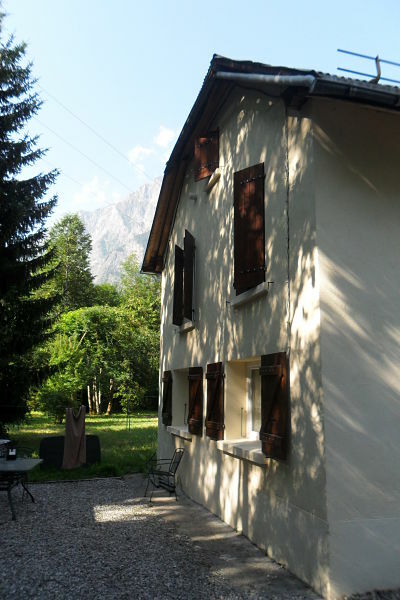 A more ideal place to stay for cyclists wanting to ride in the French Alps I can’t imagine. The accommodation is perfectly set up for cyclists and their bikes with great attention to detail and is very competitively priced in an area that is in many ways relatively expensive. 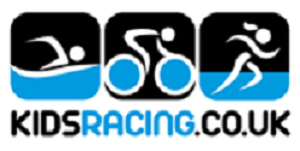 They are both very active cyclists themselves and are incredibly generous in the time that they spend talking all things cycling, the advice that they give and the information that they have at hand. In fact Alan even accompanied us on some rides, more of which later. For anyone who’s interested here’s their web page www.bourgdoisansbandb.com and I’m sure that Dave, Rob, Ian and Graeme as well as myself would be happy to share their experiences of staying there. At some point the Alpe had to be tackled. When I asked Alan he said that it was his least favourite climb in the area and after riding up it I could understand why he would have that view. One thing cannot be denied though, Alpe D’Huez has something special about it. Rising straight out of Bourg D’Oissans to the village of the same name at the top it is a Mecca for cyclists, all cyclists. To get an idea of its popularity think Roseberry Topping and the range of people who struggle up its slopes. People were riding up the Alpe on all manner of bikes, I even saw someone tackling the lower slopes on a BMX. I doubt that happens on the Galibier! Funniest moment was a lady riding up on an electric bike breezing past roadies as though she were going down a country lane. Its accessibility is both its strength and its weakness, if you don’t like crowds this is not the place for you. When riding up it you can almost smell the tour battles of yesteryear as the distinctive hairpins provide very specific reference points. Of all the climbs we did this one was more or less as I imagined it. Dave, Ian and myself decided to ride up it at a decent tempo while Graeme pressed on to set a Strava time of around 57 minutes. We went up in around 1 hr 4 and it felt relatively comfortable at that, the hairpins helping as you count them down from 21 to 0. It’s at its steepest, maybe 9-10% or so, until turn 16 but after that is relatively benign at around 7-8% and if you can find a rhythm is quite a nice climb to do. If you’re racing up it I suspect that it’s a very different matter though. At the end of the week Dave returned along with Rob to enter an event called ‘The Grimp’ and set a time of 51 minutes something accompanying Rob’s 47. To say that Dave was pleased with that was an understatement. I think that I could maybe have found 5 minutes or so from our tempo ride but no way could I have gone 13 minutes quicker. Dave’s finest ever ride? I think so. 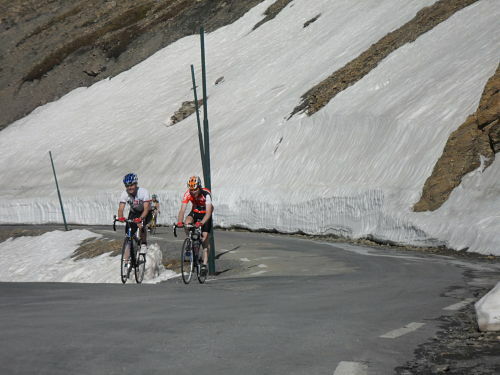 We returned to the top of the Alpe the next day albeit via a tough little climb of the Col de Sarrene. This 13k ascent took us up to the village of Alpe D’Huez another way, from the opposite direction to the classic route, but in many ways it was just as hard. We rode up the way that the Tour was shortly to descend down on their ‘Double D’Huez’ day. Ian had a particularly difficult time as he knee gave way just before the top. It and he had done remarkably well to get this far and it was somewhat of a relief that he was able to make it up. I had my own problems as further down the climb on what was a hot day I dunked my head in a cold trough of water. Dave thinking that this was a great photo opportunity missed persuaded me to do it again and rather stupidly I agreed. Note to self, when Dave has an idea take time to think about it. Better still don’t do it at all! The water was ice cold straight off the mountain side and the resultant double dose of cooling gave me what can only be described as the worst of all Ice Cream headaches. At one point I thought I was going to pass out or be sick and getting back on the bike and resuming the climb was difficult and it took a few kilometres (I was thinking in k’s rather than miles by this point) before I felt okay again. After the top of the col and sighting a couple of soaring eagles we made out way to Alpe D’Huez where we bumped into Rob who was there registering for his Marmotte ride. He told us he ridden up but I was somewhat sceptical that he would have expended such energy and wondered if he’d found an alternative way up maybe via cable car. He did join us in the half mile ride to the café with a rather spectacular view and the subsequent descent down the Alpe. 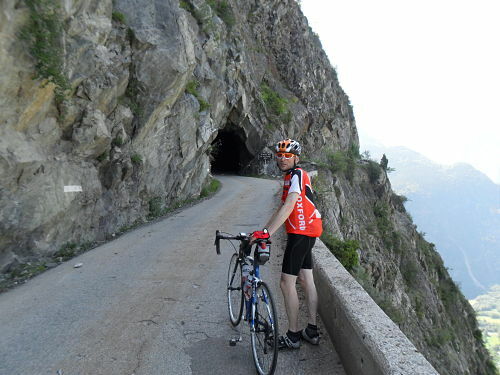 A 14k descent through a series a hairpins completely solid with cars and other bikes required keen concentration and got the wheel rims as hot as a radiator through braking and it was with relief that the bottom was reached before a tube blew. For Ian this was his last significant ride and it was a real shame that he couldn’t join me and Dave for our big ride the day after. That night over the meal Dave, in a way that only he can, was explaining how we would ride up the Col du Galibier from the other side via the Col de Lautaret. Forgetting that I had descended the 40 odd kilometres of this four days earlier so knew the terrain he merrily pressed on saying that we could somehow breeze up around 2,000 metres of vertical ascent through a mixture of ‘going steady away’, ‘soft tapping’ and ‘glass cranking’. 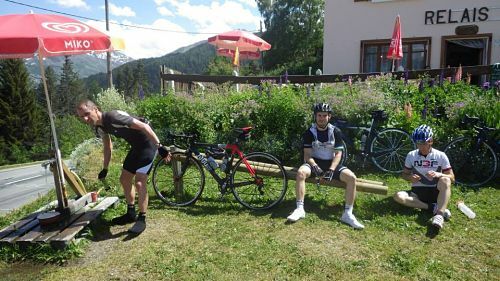 Rob who was of course resting up with his ‘less is more’ approach was rather mischievously encouraging Dave along suggesting that we also nip up and down the 20k 8% climb of the Col de la Madeleine and then finish with a 29k ascent of the Col de la Croix de Fer. 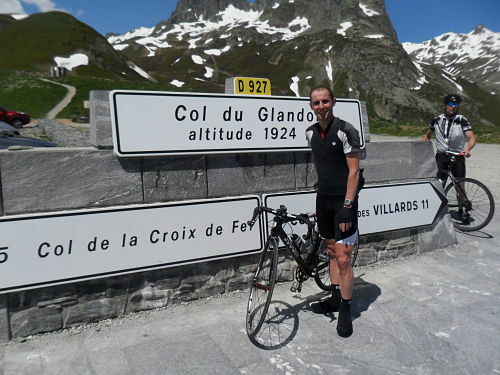 Three huge cols when earlier in the week Rob had warned us of the dangers of doing anything more than 2! Undeterred or completely oblivious Dave carried on moving his finger along the route on a two dimensional map and failing to appreciate that mountains existed in three dimensions and that the map was scaled down somewhat in the way that maps are! Just when I was about to accept my fate and a long hot day of suffering reason intervened in the form of Alan who offered to ride with us on the condition that we did his suggested and much more reasonable route of a mere 153k rather than Dave’s mammoth 200k three col horror. Saved! 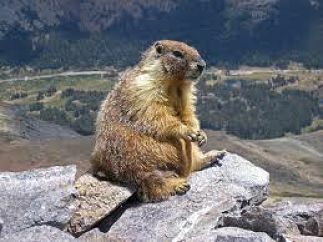 ‘There’s a marmot’, ‘There’s a marmot’, ‘Another, a big fat one on a rock, 5 metres away’, said Alan. A big fat Alps Marmot on a rock after which the cycling event is named – there’s loads of them! Dave and I were now tuned into marmot spotting, they were everywhere, much like rabbits are in the UK. We had cycled this way up the Glandon 4 days before yet hadn’t seen any and now here was Alan pointing them out all over the place. How had we not seen them! For those who don’t know, as I didn’t, they are a kind of cross between a beaver and a squirrel and live in holes high up on mountains. And they are quite big, bigger than a rabbit so not really difficult to see. So as well as being a strong cyclist, knowing the roads like the back of his hand and having an invaluable knowledge of all water sources en route Alan was also a marmot spotter extraordinaire. Near the top of the Glandon the road branches off right and heads towards the impressive summit of the Croix de Fer – the Iron Cross – at 2,067 metres. A steady but not too challenging gradient takes us the 3 miles to an impressive vista of high peaks. The descent that followed cut impressively though the valley and if we had followed it all the way would have lasted an incredible 29k, around halfway though we deviated from this to take in the Col du Mollard which was included in the Tour in 2012. A 5k ascent was followed by, for me at least, the finest descent of the whole week. Not as predictable as the hairpins on Alpe D’Huez it was probably just as twisty and in some ways more intricate. What really made it so good though was the fact that it was virtually free of traffic and offered great views as we descended 16k into St. Jean de Maurienne for something to eat. I’m not sure that a large pizza is ideal about 8k before grinding up the Glandon from the steep side on a hot day but that is what we opted for. Dave was impressed by the number of pizzas offered on the menu that we were browsing through while trying to find shade from the heat of the midday sun and expressed his awe and wonder to Alan. I’m used to this kind of comment from Dave but it tickled Alan. Whatever was in that pizza that Dave had must have been on the banned list because 13k into the Glandon climb Dave announced ’I’m just going to have a poke up the road’ and shot off with 7k of the climb still to go, including a really tough final 3k. Alan looked concerned but I’ve seen Dave do this kind of thing before and simply said that ‘he’ll probably be okay but don’t be surprised if he runs out of steam near the end of the ride as he’s quite unpredictable’. One thing’s for sure I doubt that I could have followed it and I just continued at the level of effort that I’d set from the bottom of the climb as I didn’t want to risk blowing up. Like many of the big climbs at each kilometre a marker informs you how far you have to go and what the average percentage for that kilometre is going to be, which I find does actually help you to measure your effort. The bulk of the climb is almost uniformly between 7 and 8% but the final 3k is pretty tough at around 10-12% for its entirety. Dave had sustained his effort though and was probably around half a kilometre ahead of me and Alan up the road. It has to be said that Alan seemed quite comfortable at the pace that I was setting whereas towards the top I was starting to feel it and was glad to see Dave propped up against the summit wall suffering for his efforts. The descent was really a case of how fast dare you go for many of the sections and Alan’s local knowledge made speeds of 40-50 mph seem relatively comfortable although I struggled to keep near to his wheel for some of the twistier sections. I actually felt quite fresh towards the end of the ride and overall I felt much more consistent than during our earlier big ride. It’s Marmotte day and Ian, Dave and I have found a shaded spot under some trees near turn 16 on the Alpe, which is just as well as the temperatures are nudging over 30 degrees. We’re here to watch the masses struggle up the 21 hairpins with 160k of tough road already in their legs. And struggle some of them do but we do what all cyclists do when they’ve also been through this kind of thing: shout meaningless encouragement, laugh and wince. Dave decides to pick out British riders and shout at them a bizarre mixture of things taking his cue from their club jerseys. ‘Go on Pennines CC’ or similar kind of makes sense, but soon he is losing his way and is just picking anything written on a jersey ‘Dig in Websters Cavity Insulation!’. He is a man either losing his mind, affected by the heat or both. We let him get on with it as he’s doing no harm. In among all this we manage to pick out Rob and then Graeme who are both well up and local Teesside cult figure Mark ‘Mad Dog’ Jenkins who is doing well too despite managing to come off on a descent of the Alpe earlier in the week. Fellow Cleveland Wheeler Tim Swales is in there somewhere too but unfortunately we can’t pick him out among the 7,500 cyclists that will have put themselves through this. So that was it the holiday more or less over, just the packing and the stress of the train journeys to sort out for me, Ian and Graeme. Dave was going to squeeze in his last glorious foray up the Alpe as was Rob who was also going to spend a few extra days of riding before heading home. The question I’ve been asked since I’ve got back and the question that I suppose I asked myself before I went is: what are those climbs like? How do they compare to Clay Bank, Rosedale Chimney etc? Well they are just totally different. When you think about climbs at 6-10% you think so what? But it’s the length, the heat, the scale, the majesty of it all. It can be quite overwhelming at first but it’s doable. If I can do it so can most club riders, it’s long sustained suffering rather than the short intense suffering that our climbs inflict on you. It sounds strange to say it but there were very few times where I was breathing that hard but to counter that I don’t think I’ve had to deal with that kind of relentless remorseless toil either, no let up of resistance for an hour, a summit seemingly no closer, the road seemingly clinging to your tyres and making you work for every centimetre gained. It’s epic stuff, why not give it a try? Posted on July 28, 2013, in Article. Bookmark the permalink. Comments Off on A short spin through the French Alps.